Selling is a combination of Art and Science. To bring together the Art and Science of selling, AI can be leveraged as an enabler so that the challenge of more than 50% sales reps not achieving their quotas gets solved. In today’s super competitive atmosphere, sales professionals need to move fast and work smart. More companies are starting to use artificial intelligence (AI) to better empower sales teams. Create their own sales arsenal by embracing AI. In this webinar, Dr. Anil Kaul, CEO and Co-founder of Absolutdata and Rajat Narang, Associate Director, put forth a unique viewpoint on how AI can bring Art and Science of sales together and show how it is impacting the sales through real world examples. 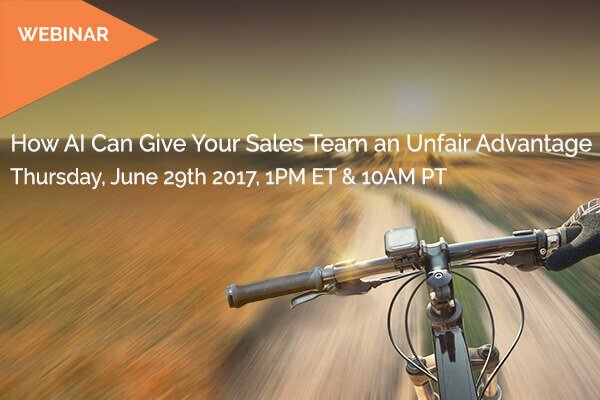 View the webinar recording to learn how AI can empower your sales teams to close more business.